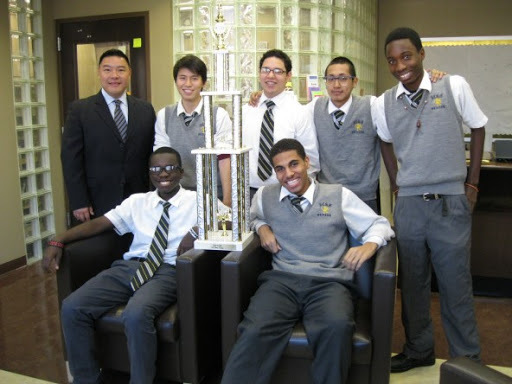 Another Success in the U.S.
‘The chess team at the Bronx Center for Science and Mathematics doesn’t have the storied chess legacy of, say, Edward R. Murrow High School, which has won several state and national championships and received ample media coverage over the years. But, after claiming the 12th grade national team title in December, Bronx Center is quickly establishing a reputation and will be one of the teams to beat at this weekend’s citywide championship in Manhattan. “Coming off of a win I want our team to still be hot, still be on fire,” said Tae Kim, a senior and one of four nationally ranked players on the Bronx Center team. Jefferson helped found Bronx Center’s first competitive chess team at the end of his sophomore year. The team only started playing tournaments last school year, and now has its sights set on more titles and recruiting players to create a lasting program. Along with Kim and Jefferson, three of the team’s other players are also seniors: Antonio Castelan, Aleem Griffiths and Jonathan Hidalgo. They have just one underclassman on board, Justus Williams, who is a freshman. He is a chess master and was featured in the documentary Brooklyn Castle. Williams and others on his team learned chess starting at a young age through the program Chess in the Schools. The players say they’ve planted a seed at Bronx Center, and now they want to leave a legacy.